Want to help choose the soundtrack to September's Goal of the Month? Well, here is your chance. Match of the Day 2 has teamed up with BBC Radio 1's Greg James show to ask you to vote for the music to accompany this Sunday's Goal of the Month competition. 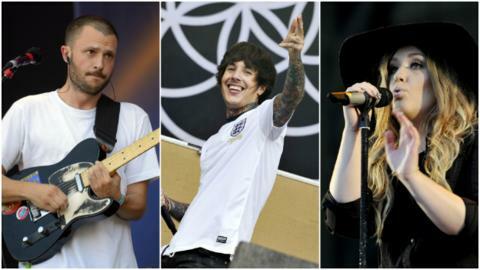 The three tracks below have been shortlisted - and you vote for your favourite one here. The vote is open now and closes at 18:00 BST on Thursday. So which of the following do you want to hear on Sunday night? The winning track will be announced on Greg's show on Thursday (Radio 1, 16:00-19:00 BST), after the vote has closed. The shortlisted goals, plus your choice of soundtrack, will be shown on Match of the Day 2 on Sunday on BBC One at 22:30 BST (23:25 in Scotland).